When students first enter their freshman year (ninth grade) of high school, they are confronted with a variety of choices for the curriculum they would like to pursue, which includes which level of math courses the student would like to enroll in. Depending on whether or not this student chooses the advanced, remedial, or average track for mathematics, they might start their high school math education with either Geometry, Pre-Algebra, or Algebra I, respectively. However, no matter which level of aptitude a student has for the subject of math, all graduating ninth grades students are expected to comprehend and be able to demonstrate their understanding of certain core concepts related to the field of study including reasoning skills for solving multi-step problems with rational and irrational numbers; applying measurement knowledge to 2- and 3-dimensional figures; applying trigonometry to problems involving triangles and geometric formulas to solve for the area and circumferences of circles; investigating situations involving linear, quadratic, polynomial, trigonometric, exponential, logarithmic, and rational functions; and designing statistical experiments to draw real-world conclusions about data sets. These skills are essential to continuing education in the field of mathematics, so it's important for teachers of all aptitude levels to ensure that their students fully comprehend these core principals of Geometry, Algebra, Trigonometry, and even some Pre-Calculus by the time they finish the ninth grade. As mentioned, students entering high school are given the choice for which education track they would like to pursue on a variety of topics, including mathematics. No matter which track they choose, though, all students in the United States are expected to complete at least four credits (years) of mathematics education during their high school education. For students who choose the advanced placement course for mathematics studies, their high school education actually begins in seventh and eighth grades where they will be expected to take Algebra I or Geometry before entering high school in order to free up time to study more advanced maths by their senior year. In this case, freshmen on the advanced course start their high school career with either Algebra II or Geometry, depending on whether they took Algebra I or Geometry in junior high. Students on the average track, on the other hand, begin their high school education with Algebra I, taking Geometry their sophomore year, Algebra II their junior year, and Pre-Calculus or Trigonometry in their senior year. Finally, students who need a bit more assistance in learning the core concepts of math may choose to enter the remedial education track, which starts with Pre-Algebra in ninth grade and continues to Algebra I in 10th, Geometry in 11th, and Algebra II in their senior years. Regardless of which education track students enroll in, all graduating ninth graders will be tested on and expected to demonstrate an understanding of several core concepts related to advaned mathematics including those in the fields of number identification, measurements, geometry, algebra and patterning, and probability. For number identification, students should be able to reason, order, compare and solve multi-step problems with rational and irrational numbers as well as understand the complex number system, be able to investigate and solve a number of problems, and use the coordinate system with both negative and positive integers. In terms of measurements, ninth grade graduates are expected to apply measurement knowledge to two- and three-dimensional figures accurately including distances and angles and a more complex plane while also being able to solve a variety of word problems involving capacity, mass and time using the Pythagorean theorem and other similar math concepts. Students are also expected to understand the basics of geometry including the ability to apply trigonometry to problem situations involving triangles and transformations, coordinates, and vectors to solve other geometric problems; they will also be tested on deriving the equation of a circle, ellipse, parabolas, and hyperbolas and identifying their properties, especially of quadratic and conic sections. In Algebra, students should be able to investigate situations involving linear, quadratic, polynomial, trigonometric, exponential, logarithmic, and rational functions as well as being able to pose and prove a variety of theorems. 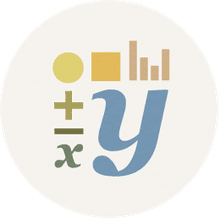 Students will also be asked to use matrices for representing data and to master problems using the four operations and the first degree to solve for a variety of polynomials. Finally, in terms of probability, students should be able to design and test statistical experiments and apply random variables to real world situations. This will allow them to draw inferences and display summaries using the appropriate charts and graphs then analyze, support, and argue conclusions based on that statistical information. What Courses Should Your 9th Grade Student Be Taking? What Courses Should Your 10th Grader Be Taking? What Courses Should Your 11th Grade Student Be Taking? What Should You Be Teaching Your 7th Grader? What Should You Be Teaching Your 6th Grader?